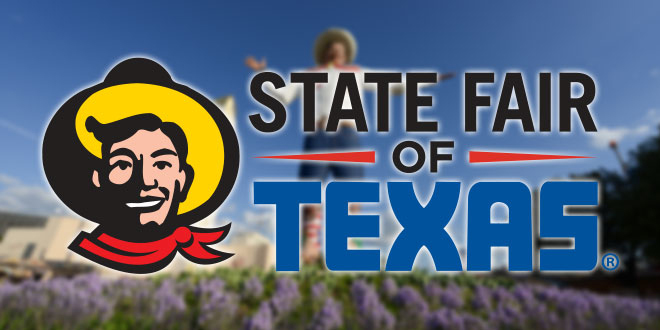 State Fair of Texas Opens Sept. 26th and runs through Sunday, Oct. 19th. Each year the State Fair of Texas celebrates our great state with amazing food, shopping, live music and family fun. There are hundreds of daily shows, a nightly parade, free concerts on the Chevy Main Stage, and throughout the grounds, the always popular livestock exhibits and competitions, and of course, Big Tex himself. Plus, the State Fair has the largest new car Auto Show in the Southwest. For generations, the State Fair of Texas has been the destination to bring all Texans together and create lasting memories. In celebration, the Fair has selected “Deep in the Heart of Texans” as its theme for this year’s exposition, open September 26 through October 19. When fairgoers step onto the fairgrounds this year, they will notice several changes, including an emphasis on “Texification.” The fairgrounds will be redressed around the theme of Texas pride and State Fair of Texas icon, Big Tex, in addition to new Texas-themed floats and music in the nightly Starlight Parade. The most notable addition will be a new 30 foot by 50 foot Texas state flag flying proudly 120 feet in the air, in the shadow of the Top o’ Texas Tower.